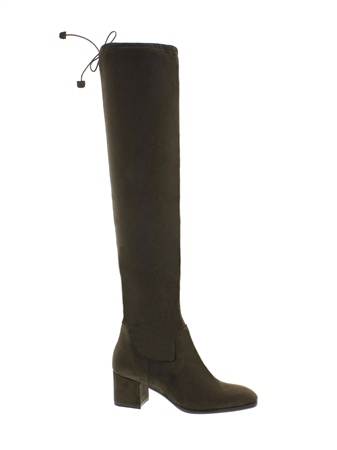 The iconic Taliah Over-The-Knee boots are unequivocally the hottest boot of the season. The supple stretch material and tie back detail ensure a flawless fit that won't slouch while the medium block heel means you can go from day to night in optimal comfort. They look effortlessly chic styled with jeans, peaking through a midi slit or with a printed mini.